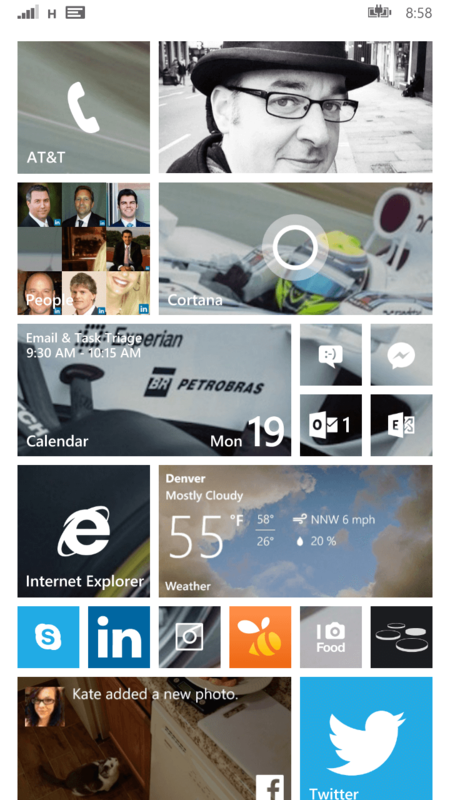 One of my personal favorite features of Windows Phone is Live Tiles. App that take advantage of Live Tiles allow you to quickly get information on news, sports, weather and whatever else that app provides. Take the Kindle app as an example. It shows me on the Live Tile the book I’m reading and how far along I am in it. Some Live tiles can be setup as transparent meaning that you can “see” through them to a wallpaper or a photo in the background. It’s a whole new level of personalization as the Live tiles become a part of the background image. In this How To I’m going to show you how easy it is to setup transparent Live tiles on your Windows Phone so you can enjoy your favorite photo or background each time you look at your device. Before I start, there is one thing to keep in mind about transparent Live tiles: Not every app uses them. There are some apps like Swarm, Kindle and MSN apps that do not use this feature and will be displayed in the traditional metro-style blocks. You will need to check with each app to see if it supports it. The vast majority of apps will now simply turn on transparent Live tiles by default once you setup the background wallpaper so you may not need to do anything additional. background color. At the very bottom of this page you will see the option to set a Start background. This is the key to making transparent Live tiles happen. on your phone. 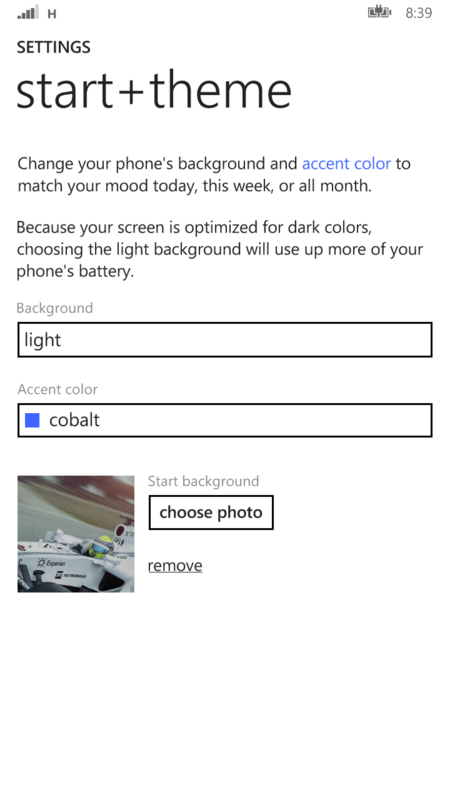 You should now see your background through the tiles on your Start screen. you can see through many of the tiles at the top. Now though that MSN Weather towards the bottom does not support transparency nor does Twitter, Facebook, Swarm and so forth. But, as I swipe down, I will see the bottom of my wallpaper. Essentially the Live tiles “float” on top of my background. It’s a great visual effect but it also brings a level of personalization that you just can’t do on other platforms. How you setup your Start screen to take advantage of transparent Live tiles is completely up to you as an individual. For me, I like having my content I need in descending order on my Start screen so the most important things to me are at the top while the lesser important ones are towards the bottom. That means for me I generally ignore having a whole photo through my Live tiles. Others however like having all of their transparent Live tiles grouped together to see more of the photo as one. It’s entirely up to you. For more How To’s for Windows Phone be sure to check out my Windows Phone How To page.